It's been a bit exciting around here recently, and it's with great pleasure that I can now announce that I'll be represented by the awesome Joanna Swainson at Hardman & Swainson Literary Agency. I've had some fantastic meetings with the agency, and suffice to say they've completely blown me away. I'm really excited to be working with Joanna on my future writing projects! I'm really excited to be able to share the cover of my debut novel The Killer You Know with you all. How to describe a moment like this, as a writer who submitted his first book to a publisher (with his own hand drawn cover) not long after he'd stopped toddling? (Totally got rejected by the way). Characters I imagined are standing there on the train track I made up. I can see Adeline. I can see Rupesh! And that's Blythe, a setting some of you who have read my short stories will know. It's a really special moment. Netgalley, US Cover and Interview: One Month to Go! In under a month, the wonderful and exciting period of being a soon-to-be-published novelist ends and the first edition (ebook and trade paperback) will be out in both the UK and the US. If you want to read in advance and are registered with Netgalley, you can still get a proof copy from them until the end of the month in exchange for an honest review by clicking here. I've now seen the US cover too, and I absolutely love it. Take a look! 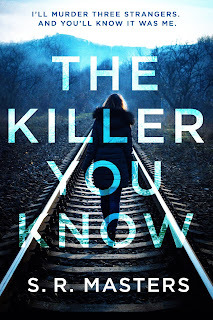 The book's also been out in Poland for a month now, and here is my first interview about The Killer You Know with Kawiarenka Kryminala: INTERVIEW. And just in case your Polish is a bit rusty, here is a translation. It's quite funny comparing the Google translate version to this, it's a little... different! How long did it take you to write the novel and get it published? Not much more to say than simply, It's Out!!! 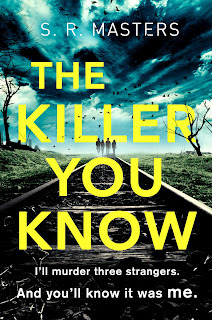 It's been a long old journey from my first post here when I was dabbling with short stories, but finally my debut novel THE KILLER YOU KNOW is out on ebook through Sphere/Little, Brown in the UK and Redhook/Hachette in the USA. And please leave a review if you have a moment and enjoyed! Each one is so important for debut authors, and they will be eternally grateful to you forever in a way that may mean you own their soul.